Sweepstakes open to legal residents of the fifty (50) United States and District of Columbia (excluding Rhode Island, Guam, Puerto Rico, the U.S. Virgin Islands, U.S. military installations in foreign countries, or in any other U.S. territories or possessions), except where prohibited or restricted by law. Entrants must have attained the age of majority in their state of residence (usually at least eighteen (18) years of age) at time of entry, possess a valid form of unexpired government-issued photo identification, and have a valid email address. Sweepstakes begins at 10:00 am PST on 12/17/2015 and ends at 11:59 pm PST on 12/24/2015. Enter online by submitting your full name, email address, and zip code. 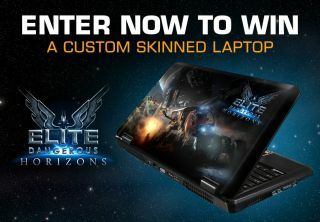 One winner will receive one custom skinned gaming laptop and a digital copy of the game. See here for official rules.